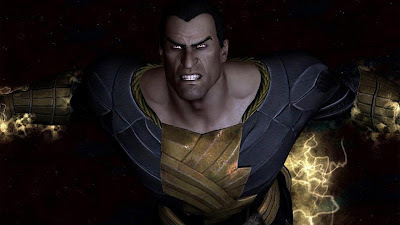 Another day, another Injustice: Gods Among Us clip. This time we see Catwoman and Raven go toe to toe while Black Adam prepares to smack down with Shazam/Captain Marvel. Follow on after the jump to see Catwoman and Raven go at it! Today, Warner Bros. Interactive Entertainment and DC Entertainment reveal Raven and Black Adam as the newest characters to be added to the roster of heroes and villains featured in the upcoming fighting game Injustice: Gods Among Us.